1. Describe a place you always wanted to visit. 2. Describe the most beautiful scene in nature that you can imagine. 3. Describe a kitchen that you have seen or would love to see. 4. Describe the ocean. Think about what it looks like on and below the surface. 5. Describe a storm. This could be a thunder storm, a snow storm, a hurricane, a tornado, a hail storm, a rain storm, or any type of storm. 6. Describe a place where you feel safe and protected. 7. Describe a toy you love(d). Think of all its good points. 8. Describe your ideal playground. 9. Describe the perfect shopping mall. 11. Describe your bedroom the way you want it to be. 12. Describe your favorite dessert (or food). 13. Describe a beach (a desert, a mountain, a city, or a plain). 14. Think of your favorite animal and describe that animal. 15. Describe your best friend so that the reader can picture him or her. 16. Think of your favorite place. What do you like about this place? What do you do there? How does it look, smell, and feel? Now write an essay describing your favorite place so that your reader will be able to picture it. 17. Some people prefer dogs as pets, some like cats, and others prefer birds, snakes, fish, rabbits, pigs, horses, and other animals. What is your perfect pet? What does it look like? Is it soft or hard? Does it make any sounds? Now describe your idea of a perfect pet so that your reader can picture it. 18. Different teachers decorate their classes in different manners. Think of your idea of the perfect classroom. Is it colorful? Does it have desks or tables? What does it look like? How does it smell? Are there any sounds in it? 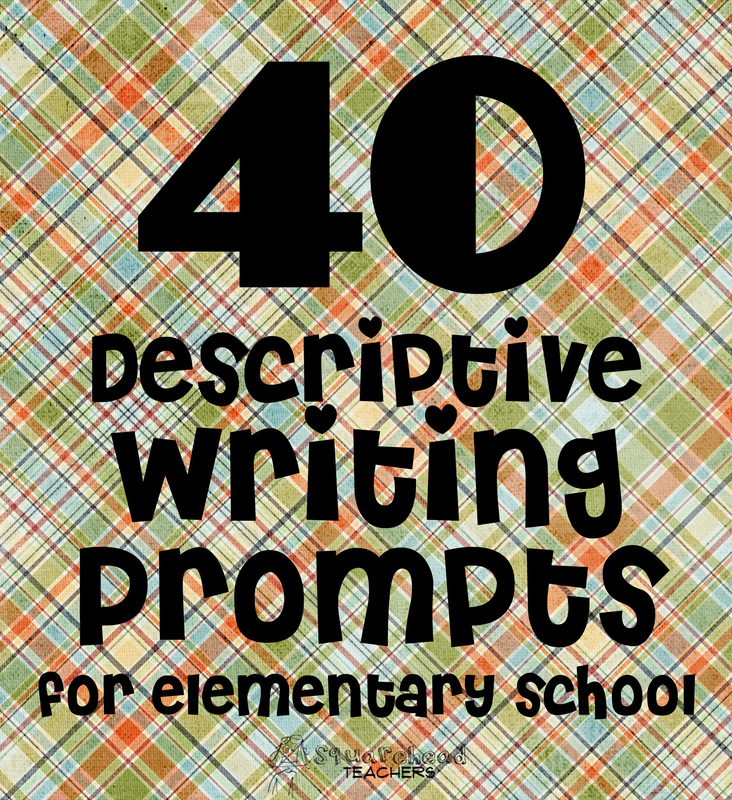 Write an essay describing your idea of the perfect classroom. 19. Each season of the year is beautiful in some way. Think of which season is your favorite: winter, summer, spring or fall. Think of what your town looks like during that season. What does it feel like? Is there a smell or taste to it? Now write an essay describing an outdoor scene during your favorite season of the year. 20. Everyone has a favorite object that they treasure. Think of some object in your room that you really like. It could be a toy, or a doll, a game, a stuffed animal, or a book, but whatever it is, it is special to you. What does it look, feel, smell, and sound like? Now, describe this object to your reader so that he or she will be able to picture it clearly. 21. Every person has a favorite place to play. Think of your favorite place to play. It may be your backyard, or a playground, or a nearby woods, or an open field. What does this place look like? What are the sounds you hear there? What does it feel and smell like? Describe your favorite place to play so that your reader can see it without being there. 22. Almost all houses have kitchens. Some are big and some are tiny. Think of the kitchen at your home. Think of how you might change it to make it even better. What is in it? What does it smell like? Now, describe this perfect kitchen to your reader so that he or she can see it clearly. 23. There are trees everywhere, even in the middle of big cities. Think of a tree you have seen. What does it look, feel, and sound like? Describe that tree so that your reader can picture it too. 24. People gather at places like malls, fairgrounds, schools, gymnasiums, sports fields and swimming pools. Think of a place in your town where there are lots of people. How does it look, sound, smell, and feel to be there? Now, describe that crowded place so that your reader can feel as if he or she is there. 25. Every child enjoys playing on a playground. Think of the playgrounds you have played in. Think of what makes them better. Maybe you’ve already seen it, but think of what makes the perfect playground. Think of how it looks, sounds, feels, and smells. Now, describe your idea of a perfect playground so that your reader can see it clearly. 26. Even in the desert it rains sometimes. Think of what the world looks like outside your window when it rains. Think about how it looks, smells, and feels. What sounds do you hear? What does rain taste like? Describe what the world looks like outside a window when it rains. 27. Flowers always make a yard or a room look very pretty. Think of a garden or a bunch of flowers you have seen. Make it even better and prettier in your mind. What does it look and feel like? Does it smell? Describe the garden or a bunch of flowers so that your reader can see it and smell it in his or her mind. 28.Cities and towns have lots of things going on in them, lots of stores, traffic, people, churches, schools, parks, and maybe even a zoo. Think of your city or a city you have visited. As you walk down the sidewalk in the middle of that city, what do you see, hear, smell, taste, and feel? Describe that city for your reader and what it is like to be there. 29. Even in big cities, there are parks where there are woods (or forest). There are woods everywhere in this big country of ours. Think of a forest you have been in or played in. What does it look like? Now describe this forest so that the reader can see it. 30. Alice visits Wonderland in Alice in Wonderland. Wonderland is the land of her dreams. What is the ideal place for you? What place do you dream about? What does it look like? Does it have a smell? How does it feel? Do you hear sounds there? Describe the ideal place of your dreams in such a way that the reader can picture it, too. 31. We all eat to stay alive, but everyone has a favorite food. What is your favorite food in the world? What does it look like? How does it smell and taste in your mouth? Describe your favorite food so that your reader can see it and almost taste it as well. 32. Many people love the beach and others love the mountains for a vacation. Which do you like better; the beach or the mountains? Even if you have never been to either, you have seen pictures. Choose one— either a beach or the mountains. What does the place look like? Does the place have a feel to it? What smells are there? What sounds do you hear? Describe your beach or mountains so that your reader can picture the scene you see in your mind. 33. Everyone has a favorite game, dominoes, checkers, cards, Clue, Chutes and Ladders, Monopoly, and so on. What is your favorite game? What does it look like when you play? What sounds do you hear as you play? Describe your favorite game so that the reader can see it and hear the action as you play. 34. Everyone has to shop for food or clothes sometime. Think of a store to which you like to go. What does it look like inside the store? Are there sounds? What do things feel like there? Does the store have a smell? Write a description of a store you like to visit so that your reader can feel as if he or she were there. 35. People live in houses, apartments, tents, cabins, trailers, and other buildings. Where do you live? Think of your ideal living place. Perhaps it’s where you live now. What does it look like? Does it have a smell? Describe your ideal living place or the place where you live so that your reader can picture it clearly. 36. Imagine that you were on a ship in the middle of the ocean. What does your ship look like? How does the ocean look? What does the sky look like above you? What do you see, hear, feel, smell, and taste as you look about? Describe your ship in the middle of an ocean of water. 37. Everyone has been in a thunder storm. Think back to when you last experienced a thunder storm. What was it like? What were the sights, sounds, smells, tastes, and feelings during the storm? Describe a thunder storm so that your reader can experience and picture it. 38. Imagine that someone gave you a very special ring. What does this ring look like as it sits on your finger? How does it feel? Is it heavy? Is there a taste to it? How does it sound if you rap it on the desk? Does it smell? Describe this ring down to the last detail so that your reader can picture it on your hand. 39. Our country has a flag with fifty stars representing the fifty states and thirteen stripes representing the thirteen colonies. Your state has a flag, too, with things that represent important historical events and items of your state. Imagine that you had a flag which represented you. What would it look like? How does it feel? Does it have a smell? Does it make a sound as it waves in the breeze? Think of some images it would have on it to represent you to the world. Now, describe your personal flag so that your reader can see it clearly. 40. Almost everyone has had an encounter with a spider, has read the book Charlotte’s Web and has seen pictures of spiders in their webs. Think of a spider and web you have seen. It could have been real, in a book, or in your imagination. What do this spider and web look like? Do they make a sound? What do they feel like if you touch them? Do they have a smell? Now, describe your spider and its web so vividly that your reader can see it as if it were right in front of him or her. This entry was posted in Writing Prompts and tagged Children, descriptive writing, Education, Elementary School, Homeschool, Teacher Resources, Teachers, Teaching, writing prompts by Squarehead Teachers. Bookmark the permalink. I have students describe their pencil. Then, we put all the pencils in the middle of the floor, sit in a circle, and read the descriptions aloud. Based on the description, we try to pick out the matching pencil. Since most kids have a yellow #2, it gets pretty interesting!